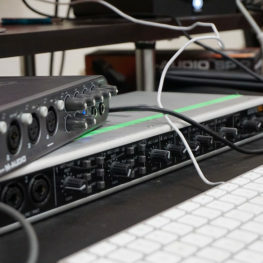 Mastering is one of the most important, yet most challenging, parts of the song production process. Come explore the basics of mastering EQ, Limiters, Bus Compressors and other master bus processing tools that'll make your tracks shine! Mastering is one of the most important, yet most challenging, parts of the song production process. Come explore the basics of mastering EQ, Limiters, Bus Compressors and other master bus processing tools that’ll make your tracks shine!